Meet the Chicken: Poultry Cuts & Uses - See our Butcher's Chart here. You’ve met the Cow, the Piggy and the Sheep, so now it’s time to round things off with Chicken. Despite being pretty straightforward, we thought we couldn’t end the series without a vital member of the farm. So, although most cuts of chicken can be fried, baked or stewed, we present the chart to make sure you nail each dish. 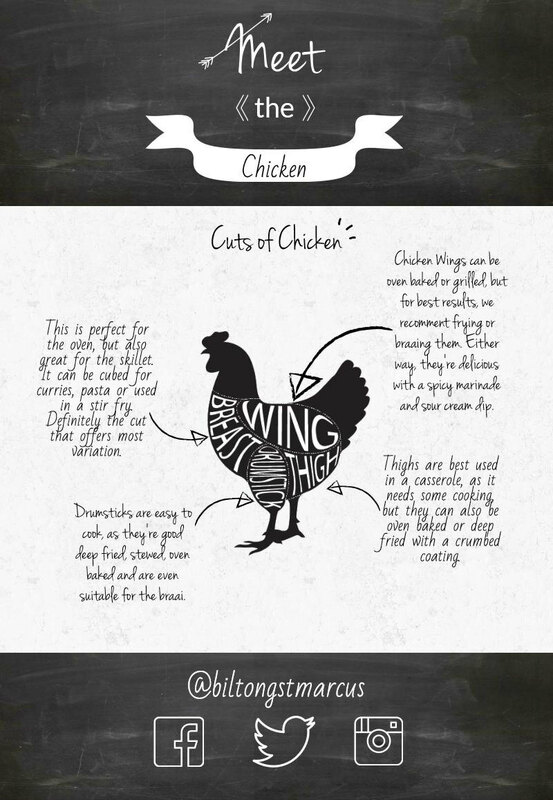 With that being said, let’s take a look at ‘Meet the Chicken: Poultry Cuts & Uses’. Chicken is probably the easiest, and often quickest, meat to cook and a great variation for red meat. However, just because you’re compromising on that juicy steak, doesn’t mean you have to settle for a bland dish. Our ‘Meet the Chicken: Poultry Cuts & Uses’ is here to guide you and hopefully offer some inspiration too. Be sure to also keep an eye on our ever-growing recipe section, by clicking here.